Will High Explosives come with it? 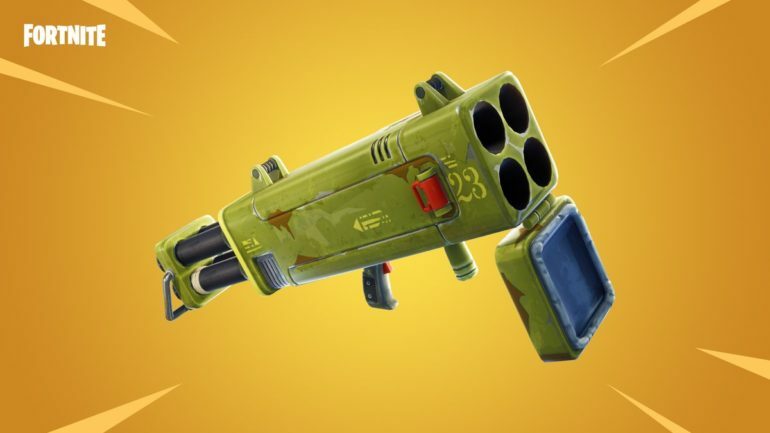 Over a month after its arrival in the game files, a new rocket launcher will be coming to Fortnite: Battle Royale soon. Epic Games has confirmed that the Quad Launcher, an explosives weapon that fires four rockets at once, will be added to the game. 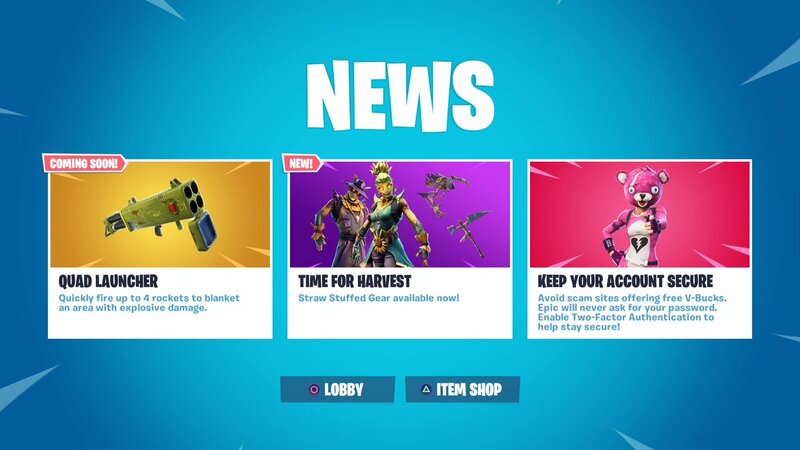 An in-game message describing the weapon popped up on players’ home screen Monday to make it official. Dataminers found the Quad Launcher in the game files on Sept. 6 following the 5.4 update. And while the Spike Arena Trap, which was also found during that Sept. 6 datamine, made its way into the game since then in the form of the Spiky Stadium, the Quad Launcher hadn’t been mentioned much. Although it’ll be making its Battle Royale debut soon, the Quad Launcher isn’t a new weapon to Fortnite. It’s a Legendary weapon in Save the World, although it appears that it’ll be slightly different when it comes over to the PvP mode. In StW, the Quad Launcher not only shoots rockets, but those rockets explode into a pool of fire upon impact. While it’s possible the same thing happens in Fortnite: Battle Royale, the in-game description provided by the developers didn’t hint at any pools of fire. Some players have also pointed out that a return of the High Explosives Limited Time Mode, which features every explosive weapon in the game, will likely be added along with the Quad Launcher.